Great Walks and hundreds of trails will have you navigating a range of landscapes, from rugged mountain ranges and lush farmland and sandy beaches. Ireland’s walking trails traverse natural wonders and offer encounters with wildlife such as deer, hares, seals and puffins. No matter what your fitness level, Ireland has walks for anyone and everyone! Your driver-guide will be able to advise you on your options and help you make any arrangements as necessary. 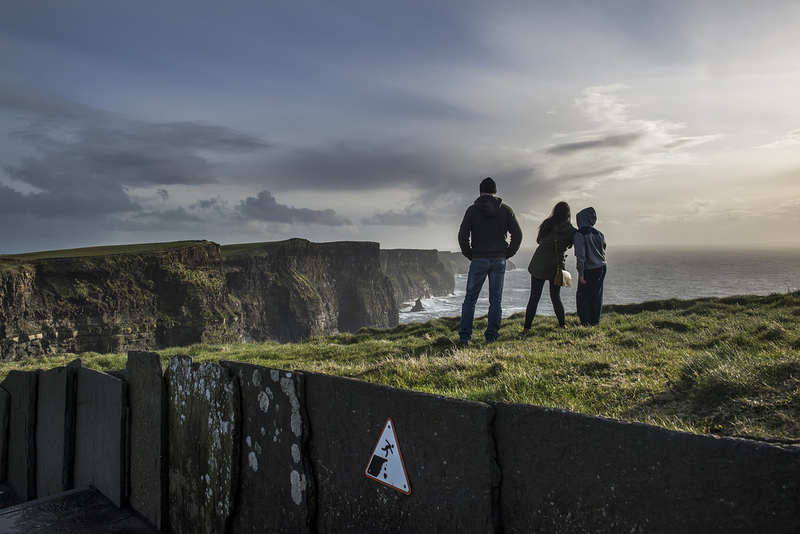 The pounding waves of the Atlantic Ocean on one side, the lush green countryside of County Clare on the other… this cliff walk is a once in a lifetime experience. Setting off from Doolin village on the Wild Atlantic Way, as you walk you will slowly see the awesome Cliffs of Moher (over 700 feet high) come into view. Though not physically demanding, this spectacular walking trail is not for the faint-hearted as you will need a head for heights. Dunmore Head is the most westerly point in Europe and arguably has the most dramatic scenery that Ireland has to offer. Located on the rugged Dingle Peninsula in County Kerry, Dunmore is marked with an Ogham stone commemorating the ancient pagan traditions of the past. 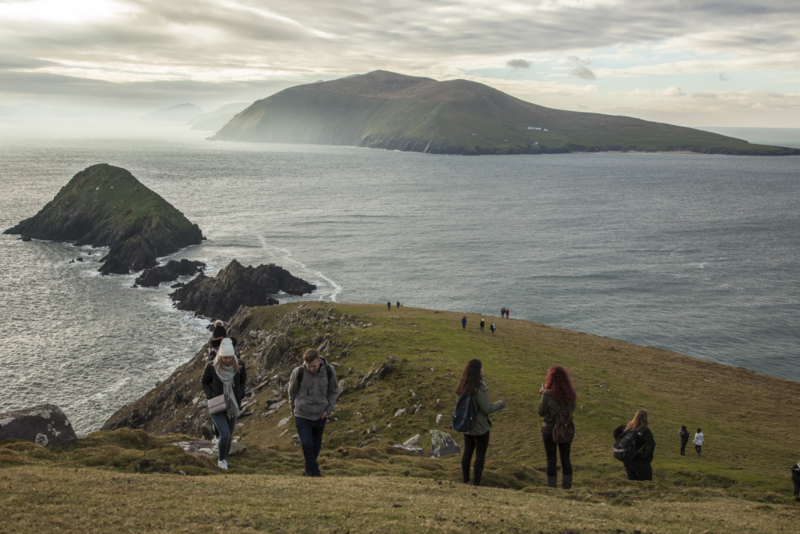 This is a beautiful walk as you trek towards the edge of Europe from Couminole Beach and see the raw beauty of the Blasket Islands looking across the wild Atlantic – next stop New York. Walking to Bray Head along the coastline of Valentia Island, County Kerry is a fantastic way to spend a couple of hours. 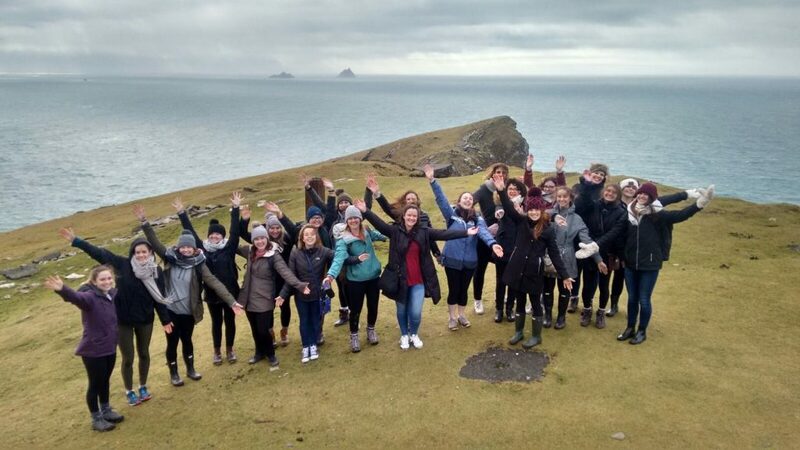 Part of the Wild Atlantic Way, a UNESCO Heritage site and views of a Star Wars filming location (the Skellig Islands) make the Bray Head loop walk simply unmissable. The route is waymarked and family-friendly, and the Old Bray Head Tower is worth a look from a military and historical perspective. 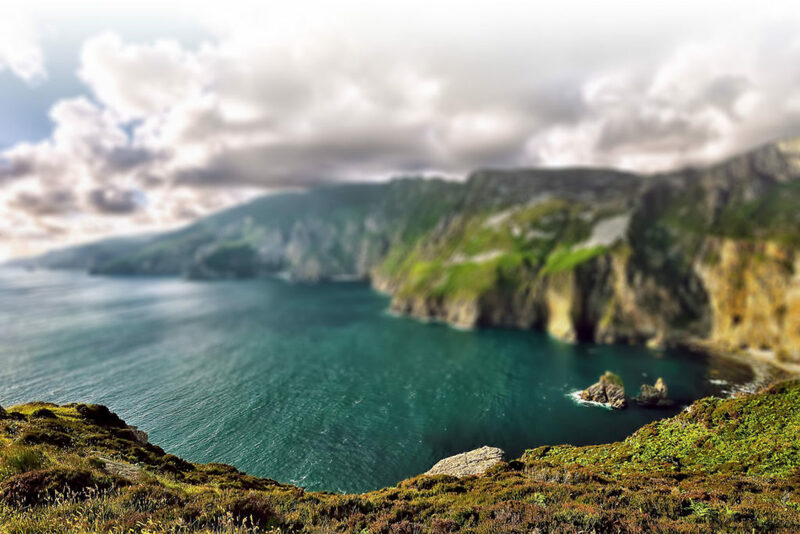 At nearly three times the height of the Cliffs of Moher, the Slieve League Cliffs in County Donegal are among the highest sea cliffs in Europe. Walking the coastal paths of another glorious section of the Wild Atlantic Way reveals amazing views of Sligo, Leitrim and Mayo. Only experienced walkers should tackle the advanced route to the narrow “One Man’s Pass”. You have been warned! 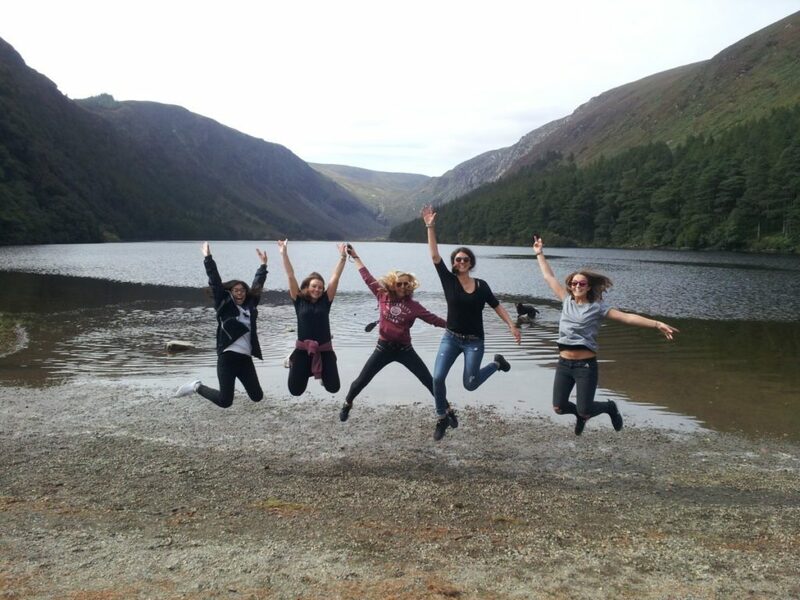 Glendalough is a spectacular glacial valley famed for its monastic city and teeming with history, scenery and great walking trails. This walk begins with a steep ascent beside the picturesque Poulanass Waterfall, and continues above the ancient glacial valley through larch and pine woodlands and oak forests over about 8kms. This is a highly recommended route. 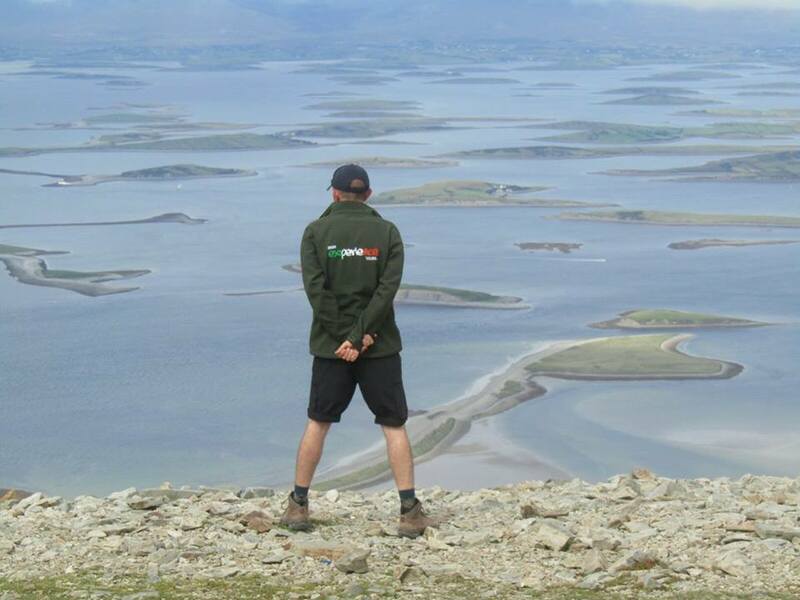 Leading to the peak of Croagh Patrick Mountain, this walking trail is loved by hillwalkers and pilgrims alike. Located near the town of Westport in County Mayo, the summit is 762m above sea level and takes an average of two hours to ascend. Your reward will be magnificent views of Clew Bay and Mayo, and, depending on your beliefs, maybe even divine inspiration. Some pilgrims ascend barefoot though we do not recommend this. 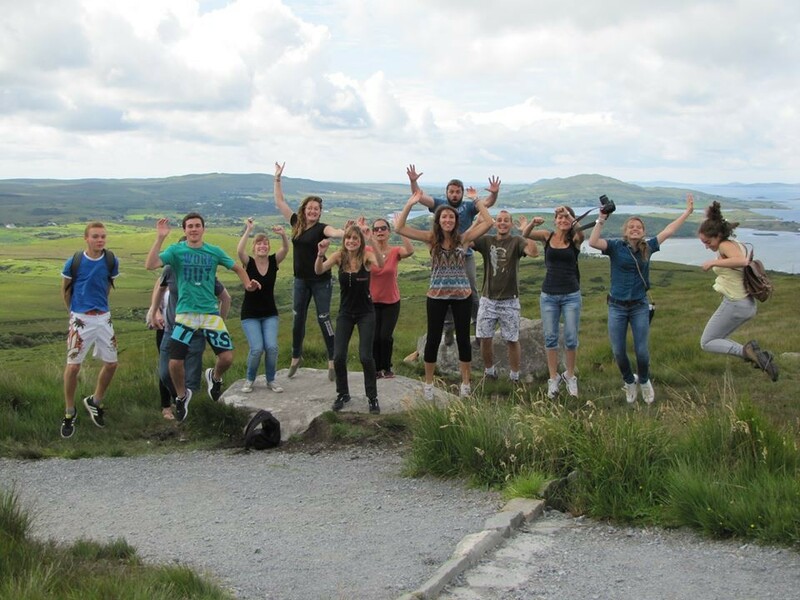 Diamond Hill is a scenic loop walk around the beautiful boglands, mountains and heaths of Connemara National Park. The route leads along a narrow ridge as you ascend the summit for excellent views of the Connemara coastline, the Twelve Bens mountain range, Kylemore Lough and the islands of Inishturk, Inishbofin and Inishshark. This route is a short nature trail around Cong village, and takes in Ashford Castle, now a luxury hotel that was converted from a Victorian castle. Nearby is ruined Medieval Cong Abbey where the last High King of Ireland resided. The Cross of Cong, an artistic Celtic Cross can be seen here. There are plenty walking routes in the area to suit all ages and fitness levels, and the natural environment and wildlife are second-to-none. Leaving Ballintoy village and awesome views of Sheep Island, this route takes you via the famous Carrick-a-Rede Rope Bridge, a 20m suspension bridge from the mainland to Carrick-a-Rede Island where you can see as far as Scotland. The bridge was built to give salmon fishermen access to their nets during the season and taken in every autumn before the gales arrived. Part of the rugged Causeway Coastal Route, this walking trail is up there with the best (even if you skip the bridge walk). The Greenway in County Mayo is a walking and cycling trail (the longest in Ireland at 42kms) between the towns of Westport and Achill. It follows the route of a disused railway line between the two towns. The scenery here is unreal, with classy views of Clew Bay and Achill Island. We recommend this as a cycling route, but you can extend the trail by taking in the unspoilt beaches or stopping for a round of golf. Nearby are attractions like Croagh Patrick and Westport House. Located around the stunning Connemara National Park, this cycleway passes Ballynahinch Lough on the way to the scenic Inagh Valley. Lough Inagh and the Twelve Pins Mountain range are on one side and the Mum Turk Mountain Range flank you on the other. This flexible route gives you the option to return to Clifden, or pedal onwards to Kylemore Abbey or Killary Fjord.